Designed to fit inside Protec’s own Deluxe Notebook Messenger Bag (Model# A501), and available as a package purchase (Model# P501). 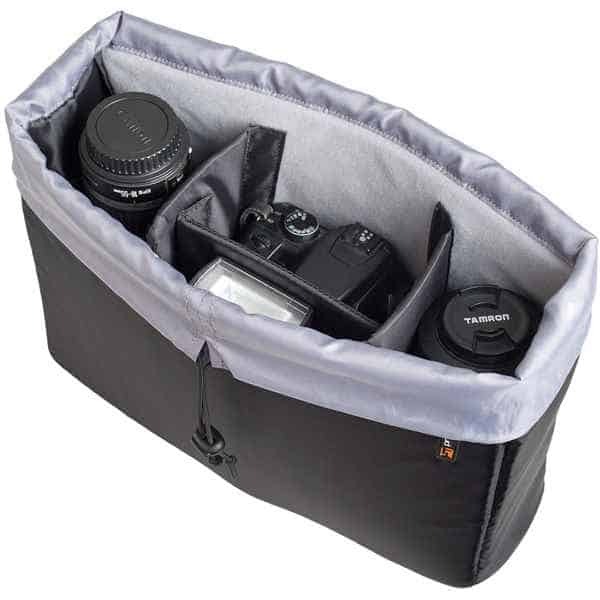 Camera Insert utilizes modular walls secured by hook n’ loop fasteners that can be reconfigured to fit a DSLR camera, flash, and up to 4 lenses. Features nylon exterior, soft lining, 3 modular walls, drawstring closure with cord lock, and two interior mesh accessory pouches.